There are two sides to every story. So, why do the media sometimes run whole-hogged with the most sensational version of events, and why do we eat it up like candy? It is time for some critical thinking about a widely reported crime story currently in the news. More than a month ago, a tragic incident occurred in a gated community in Sanford, Fla., when a neighborhood watch volunteer shot and killed a 17-year-old young man. The teen was black; the man with the gun was mixed race Hispanic. The teen was walking back from the store; the adult was in his car going to the store. When I read the first accounts of how young Trayvon Martin died, I was outraged. Seemed as though a 28-year-old, gun-toting man named George Zimmerman — a guy who had called 9-11 dozens of times over the last year — was one of those modern day gunslinger types who went around his neighborhood hunting for suspects to bully. Several news accounts called him a "cop wanna-be" who likely targeted the hoodie-wearing teen because of his race. TV news played a 9-11 tape on which Zimmerman was heard reporting the suspicious activity of young Trayvon, and even though the operator clearly told the older man not to leave his car to follow the suspect, Zimmerman did so anyway. The media reported Martin was on his cellphone telling his girlfriend that a man in an SUV was following him, and she told him to run away. Within minutes, the defenseless teenager was inexplicably dead with a bullet in his chest. Zimmerman was not arrested, and there was much speculation that it was because of Florida's controversial Stand-Your-Ground law (which allows threatened people to defend themselves with their guns). I was left with so many questions! Common sense told me Zimmerman didn't stand his ground anywhere. He had obviously gotten out of his vehicle and followed the kid, so was there another reason he wasn't arrested for the shooting? And if the Stand-Your-Ground law was the reason there had been no arrest, why was Sanford Police Chief Bill Lee forced to step aside? He didn't pass the law — the state legislature did. Shouldn't the anger have been focused on lawmakers, not police? Finally, five weeks after the Feb. 26 shooting, I opened the paper to learn that there was more to this story than an overzealous adult stalking and killing a black kid. The new perspective came from the original police report, which noted Zimmerman had a bloody nose, gashes on the back of his head and grass stains on his back. Obviously there had been some sort of fight. Zimmerman had told police that as he moved to go back to his vehicle, the teenager asked him if he "had a problem." When he answered "No" and reached for his phone to make another 9-11 call, Zimmerman said Martin declared, "Well, you do now," and knocked him to the ground. The young man then bashed his head into the concrete several times, and in the scuffle, Zimmerman claimed, he shot Martin in self-defense. An eyewitness backs up this account, saying the person in the red shirt (Zimmerman) was being beaten by the person in the dark hoodie (Martin). However, ABC News then broadcast video of Zimmerman arriving at the police station in handcuffs, and none of the injuries listed on the report were visible. Look, I don't know the complete truth of what happened that awful night when Trayvon Martin died. And neither do the loudmouths who have descended on the scene to demand "justice." Jesse Jackson and Al Sharpton led a protest in Sanford. They had their picture taken with Trayvon's grief-stricken parents and demanded that the city arrest Zimmerman or risk "going down as the Birmingham and Selma of the 21st century," as Sharpton put it. The New Black Panther Party said it was mobilizing 10,000 black men to capture Zimmerman, who has been in hiding since the shooting and is reported to be extremely distraught after several death threats. The Panther Party's Hashim Nzinga announced on CNN there was a $10,000 bounty on Zimmerman's head. Another party member, Mikhail Muhammad, said of the shooter: "He should be fearful for his life. You can't keep killing black children." The Rev. C.L. Bryant, a onetime NAACP official from Texas, said what I was thinking about these self-aggrandizing vigilantes. He called Jackson and Sharpton "race hustlers" and said they are "acting as though they are buzzards circling the carcass of this young boy." The facts show there is no epidemic of whites killing black children in America. As the conservative Bryant put it, "The greatest danger to the lives of young black men are (other) young black men." The bottom line to this case and the media's coverage of it is this: None of it feels like it is leading us down the path to true justice. It feels like a mob of uninformed, hot-headed people playing to the cameras is leading the way. A young man is dead, and his pitiable parents, instead of being allowed to grieve, are being paraded around by opportunists demanding unattainable instant "justice." This is not the way our justice system works. It should be slow, deliberate and fair to everyone involved. There are always two sides to every story. 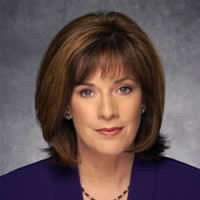 Visit Diane Dimond's official website at www.dianedimond.com for investigative reporting, polls and more. To find out more about Diane Dimond and read features by other Creators Syndicate writers and cartoonists, visit the Creators Syndicate website at www.creators.com.